Update 6/7: A second section ENGL 500 is now open. Some of those on the waitlist for the original section have already gone and registered for the new section (which is the right thing to do). All those still on the waitlist should now go and grab a seat in the newly opened section. Mercy’s staff advisors will be reaching out to everyone on the waitlist encouraging you to go register for a seat in the new section, just as I am doing here. Below are some of the books that professors have indicated will be included in their fall semester syllabuses. This isn’t meant to be comprehensive and some of this could change. Titles and missing ISBNs will be updated as I received them over the spring and summer. Ultimately the book orders sent to the Mercy College bookstore mark the definitive list. Before I list the books I want to just give a word of caution as to why you might not want to read ahead in some cases. When you’re reading a book on your own it will be a different experience from when you’re reading it in-time with a class, in the structure and flow of a class. You’ll be seeing works in certain ways when reading them in the flow of the semester, ways which might not be apparent when reading ahead. Also, in some instances you might find a work confusing, even off-putting, and be wondering “what in the world is this?” when reading it ahead of time on your own, without the context of the class to frame it and provide an immediate platform for studying it together. Only consider that there’s a reason why professors choose certain works and schedule them in a certain pattern, and in some cases it might be better to not read ahead so that you’re experiencing a work for the first time, or for the first time in a long time, in-time with the class. On the other hand, there are some reasons you might read ahead. There is an advantage to re-reading things, so it can be a good strategy to read some works (particularly large works) ahead of time so that you’re re-reading them later in-time with the class. For people who read slowly, or who expect to have a lot of other responsibilities in the fall, it might also be to your advantage to get ahead on some of the larger readings. Some courses (like Narrative Strategies) have larger reading lists than others and for these classes it might be practical to get at least a few of the books read beforehand, to balance the semester workload out. And it’s often a good idea to read around a syllabus ahead of time: e.g., reading off-syllabus works from an author or era, or perhaps biographies of authors, or critical/historical studies of the culture and era you’re about to study, so to prepare for the semester ahead. This is all only to say to be conscious and critical of why and what you might be reading ahead of time, if you are, in preparation for the fall. For Dr. Reissig Vasile’s 500 DLA section the book is: Literary Criticism: An Introduction to Theory and Practice. 5th Edition, 2011 ISBN 9780205212149. 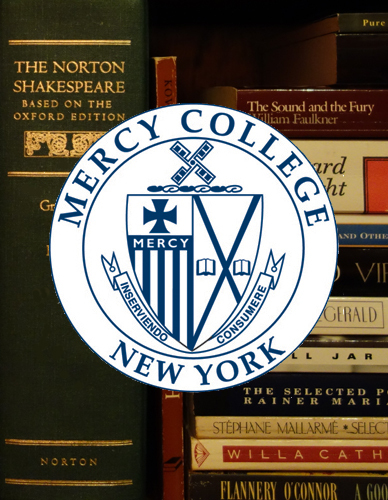 Dr. Sax’s book order is different and can be located by checking for his 500 DLB book order on the Mercy College Bookstore website. Note that you don’t have to purchase the books through the college bookstore and might be able to find them cheaper elsewhere; but the bookstore is also coy about listing some of the specifics of the book orders in order to try and force you to purchase the books through them. You can check with Dr. Sax at BSax@mercy.edu if you have any questions about his book orders for the fall. Note: Any edition of the following works will do so specific ISBNs aren’t provided or necessary here. Also note: some of these will be read in their entirety, others will only be read in part. Dickens, Charles. Great Expectations (selected chapters only). Eliot, George. Middlemarch. (“Miss Brooke” section only). Lawrence, D.H. Lady Chatterley’s Lover. Bechdel, Alison. Fun Home: A Family Tragicomic. ISBN: 0618871713. Eisner, Will. The Contract with God Trilogy. ISBN: 0393061051. Gaiman, Neil. The Sandman: Brief Lives. ISBN: 1563891387. Moore, Alan and Dave Gibbons. Watchmen. ISBN 9780930289232. Spiegelman, Art. Maus I and Maus II. ISBNs: 1435262352 and 0141014083. Tomine, Adrian. Killing and Dying. ISBN: 9781770462090. Ware, Chris. Jimmy Corrigan: The Smartest Kid on Earth. ISBN: 0375714545. Bacon, Frances. Francis Bacon: The Major Works (Oxford World’s Classics). ISBN: 0199540799. Blanning, Tim. The Romantic Revolution: A History. ISBN: 9780812980141. Clarke, Susanna. Jonathan Strange & Mr. Norrell. ISBN: 0765356155. Sax, Boria. City of Ravens: The True History of the Legendary Birds in the Tower of London. ISBN: 9781590207772. Shelley, Mary. Frankenstein. ISBN: 0486282112. Thomas, Keith. Religion and the Decline of Magic. 2 ed. ISBN: 0140137440. ENGL 525 Victorian Age in Lit. Dickens, Charles. Hard Times. ISBN: 9680486419206. Eliot, George. Mill on the Floss. ISBN: 9780486426806. Greenblatt, Stephen, ed. The Norton Anthology of English Literature, 9th ed. Vol. E. The Victorian Age.ISBN: 9780393912531. Wilde, Oscar. The Picture of Dorian Gray. ISBN: 9780486278070. Hemingway, Ernest. A Farewell to Arms. ISBN: 0684801469. —. The Garden of Eden. ISBN: 0684804522. —. A Moveable Feast. ISBN: 068482499X. (Original Mary Hemingway edition preferred over the “restored” 2010 Sean Hemingway edition, but either will do). —. The Old Man and the Sea. ISBN: 0684801221. —. The Short Stories: The First Forty-Nine Stories with a Brief Introduction by the Author. ISBN: 0684803348. —. The Sun Also Rises. ISBN: 0743297334. Dearborn, Mary. Ernest Hemingway: A Biography. ISBN: 030759467X. Hemingway, Ernest. For Whom the Bell Tolls. ISBN: 0684803356. (The one major novel we’re not covering during the semester). On Tuesday 5/15 the graduate English program hosted it’s 2018 Writing Image Text (WIT) symposium. Because most of our MA students live in other parts of the country and even in other countries, we know that it’s impractical for many of our students to travel to attend. Hopefully this post can give those of you at a distance a feel for the event, of which I hope you know that all of you were a part in spirit. Turnout was good as a number of students and alumni (mostly from around the north-east) made it to campus to attend and enjoy some friendly conversation with each other, faculty, and the school Dean. The picnic area outside Maher Hall. The calm before the storm: literally, our area was hit with a massive storm just a few hours after the event ended. L-R: Dr. Keckler reading flash fiction; Dr. Loots, Richard, Daniel. After some lunch (in the picnic area featured above!) Dr. Celia Reissig-Vasile, Chair of the Department of Literature and Language, gave a talk on research activities she recently performed in Argentina while researching the film Tunel de Los Huesos/Tunnel of Bones and the historical events it depicts. Dr. Reissig-Vasile discussing her on-site research in Argentina. Dr. Dana Horton (right) watches on. The lights were turned low, and Dr. Dana Horton discussed her poster-presentation “‘Where One Time I Served, Now I Got Others Serving Me’: Women as Post-Neo-Slave Owners in 12 Years a Slave.” Dr. Horton discussed not just the topic of her poster and related research but the whole idea of a poster-presentation, which has long been a standard presentation method in the sciences but has only recently sprung up as a method in literary fields. Dr. Horton discussing her poster-presentation (the projection was bright and clear in the room, not washed-out as it looks in this photo). Throughout the event the audience sat enraptured! L-R: Kari; Dr. Sax (a bit of his shirt at least); Lynne; Richard; Dr. Tamara Jhashi, Dean of the School of Liberal Arts; Dr. Fran Biscoglio (just peeking up above Dean Jhashi’s head); Dr. Keckler. Not depicted: Daniel sitting to the left (sorry Daniel, too far to the left!). Dr. Dugan and Dr. Medoff were present for the event but also out of the frame (alas!). Gloria introducing her first poem. Dr. Horton watching on. After Gloria’s reading Dr. Boria Sax closed out the event with several of his poems, each of which shared a common theme relating to leaves. They included “Which Leaf?,” “Death of a Tree,” and “Sing Sing Prison at Night” (Dr. Sax teaches classes to inmates at Sing Sing as part of Mercy College’s outreach in association with a project called Hudson Link). Dr. Sax, on the right, having just finished his poetry reading. Gloria, Dr. Reissig-Vasile, and Dr. Horton sit together with Dr. Sax here at the end of the event answering questions related to their presentations. The symposium was overall just filled with interesting ideas, scholarship, creative fiction, poetry, and research; as well as with good humor, laughter, conversation, and camaraderie. (And food!) In addition, our student-presenters earned a valuable line-item to list on the scholarship section of their CV. Altogether it was a very good day. Thank you, everyone, who attended. And to everyone else in the program who for understandable reasons could not attend (distance, obligations, etc. ), please know that you were there with us in spirit, that this event involved each one of you; because we are all in this together, all of us in this graduate English program. This time next year we’ll be having the 2019 symposium. Start planning for it now! We in the faculty hope to see as many of you there as can possibly attend. Until then, cheers to you all. Fitzgerald, F. Scott. The Great Gatsby. 1999. ISBN: 9780743273565. Miller, Susan. The Norton Book of Composition Studies. 2009. ISBN: 978039393158. Oates, Joyce Carol & Robert Atwan, eds. The Best American Essays of the Century. 2000. ISBN: 9780155873. Tyson, Lois. Critical Theory Today: A User Friendly Guide. 2006. ISBN: 0415974100. 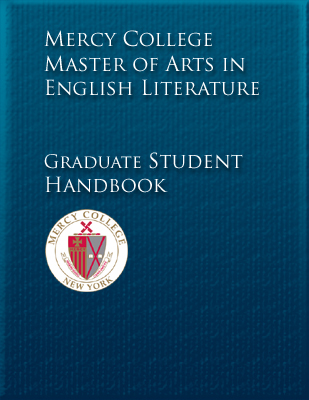 MLA Handbook, 8th Ed. 2016. ISBN: 9781603292627. Di Lampedusa, Guiseppe. The Leopard. 2007. ISBN: 9780375714795. Faulkner. The Portable Faulkner. 2003. 9780142437285. Ishiguro, Kazuo. The Buried Giant. 2016. 9780307455796. Sebald, W.G. On the Natural History of Destruction. 2004. ISBN: 9780375756573. Solzhenitsyn, Alexander. One Day in the Life of Ivan Denisovich. 2008. ISBN: 9780451228147. If you’re driving to campus you have a few options. You can take 287 to Exit 9 (Tarrytown/Sleepy Hollow) and then take Route 9 south to the campus. 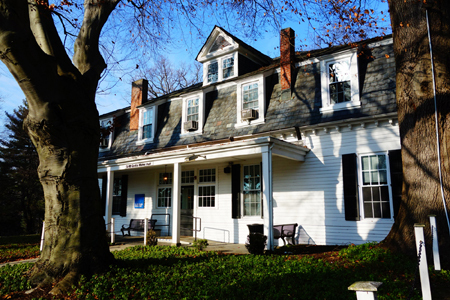 The college is about three miles directly south of 287. Or you can take the Saw Mill River Parkway to Exit 17 then head about two miles west to campus. In all cases WATCH YOUR SPEED, especially if you’re coming south on Route 9 from 287. That stretch of road goes through three different villages (Tarrytown, Irvington, Dobbs Ferry) and each will have its own speed traps. People get pulled over all the time up and down those three miles between the college and highway. The speed limit is usually 35 but drops to 30 at times. There is a security booth at the entrance to the college parking lot. Security is aware that people without parking passes will be arriving for this event. Just stop at the gate and tell the guard that you are here attending the Graduate English Symposium at Maher Hall and they will let you in. For those using Metro North take the Hudson River Line to Ardsley. Once outside the train station turn right and walk up the hill to campus. The symposium will be in Maher Hall, which is an old mansion on the north side of campus pointed-at by the arrow in the map below. The car entrance is at the bottom-right of that map, and the Ardsley train station is at the top-right. If anyone gets lost you can call me at 914-674-7423 or the English office administrator, Linda Dubiell, at 914-674-7353. There are numerous hotel options in the area. The hotel the college uses for visitors is the Tarrytown DoubleTree Hilton which is up by Exit 9. A few miles further away on White Plains Road there are three different Marriots (why three? ), a Sheraton, and a Hampton Inn. There’s also a very nice boutique hotel, the Castle Hotel & Spa, right nearby in Tarrytown. If anyone has any questions about the symposium please contact me at cloots@mercy.edu. I and other program faculty (and Dean Jhashi) look forward to seeing all of you who can attend.